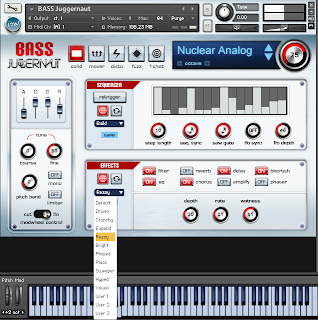 Electronic dance music has an increasingly voracious appetite for heavy beats and thunderous bass. Dubstep, and its deranged sibling brostep, are consequences of the dance producer's penchant for filling every frequency gap below 200Hz while honking midrange in your face with splat, wow and parp. 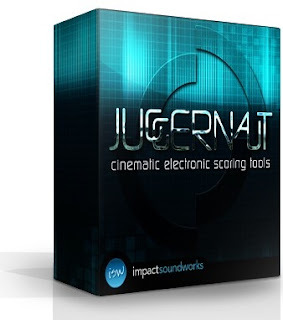 As the CEST part of its name suggests, Juggernaut is aimed at soundtrackers seeking those hammering timbres that drench modern action-movie trailers. However, not to miss a trick, Soundworks also bills the library as a vehicle for the clunking thrap of dubstep, brostep and complextro. The library was devised by a sound-design team headed by Impact Soundworks co-founder Andrew Eversa and including Mick Gordon and Jordan Fehr, among others, who between them bring pro movie and game-soundtrack sensibilities to bear. 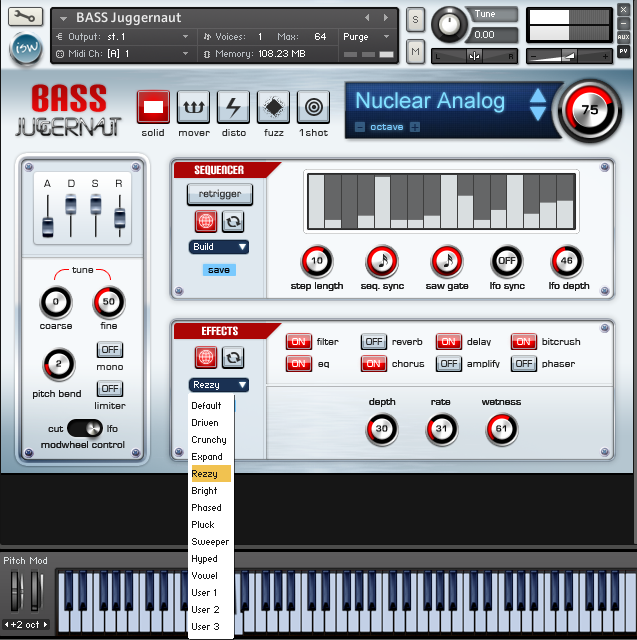 Their efforts add up to a pair of Kontakt devices totalling 2.7GB of data: Bass, with timbres ranging from low, phat and clean to low, phenomenal and disgusting; and Drums & FX, which is in effect a 32-channel mixer/drum machine hosting some truly boggling stabs, atonal hits and risers/drops/sweeps/reverses - dual-purpose movie elements and dance cues for throwing big shapes. Those unfamiliar with Northern English will find in the above a timbral definition of the word 'thrutch'. Subtle, Juggernaut is not, although it's certainly ripe for surgical EQ carving when creating space to accommodate the rest of an arrangement. 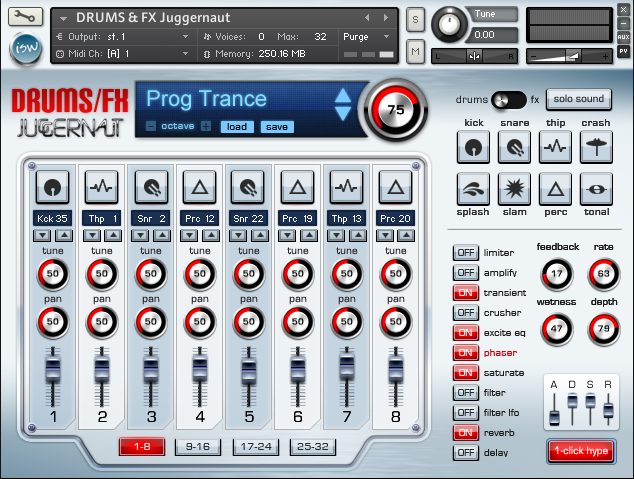 It's doubtful that you'll need to boost many of the presets, such is the richness of the sounds on which they're based. 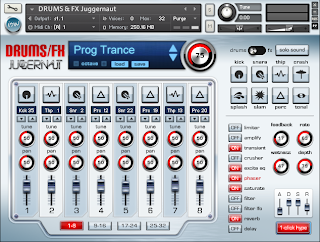 And, even better, all of the root FX and percussion files are supplied as 1.67GB of WAV files that can be dropped into a track, simplifying composition and arrangement for those times when you need to bludgeon a film director or club audience in a hurry. Manipulation by MIDI control codes is catered for should time be on your side, but the real joy of this title is its raw impact (that'll be the dev living up to its name, then). 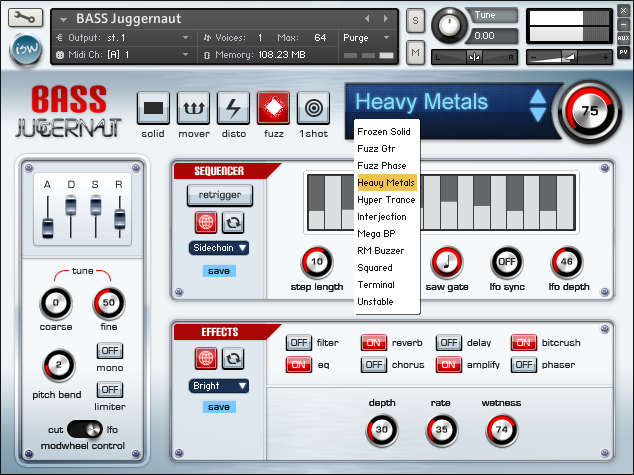 Juggernaut is a thumping great monster of a bass and percussion engine, spurting welly from the off and pumping productions with low-end torque, leaving you in the happy position of having to rein it in when trying to be tasteful rather than having to beef it up. 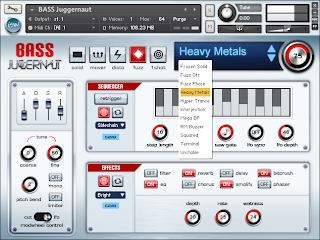 So, the title offers good value for money (it's easy to say "more of this" and "more of that would be nice", but the developer has to make a call on content per dollar) and is very easy to use, although the same could be said of most Kontakt instruments. 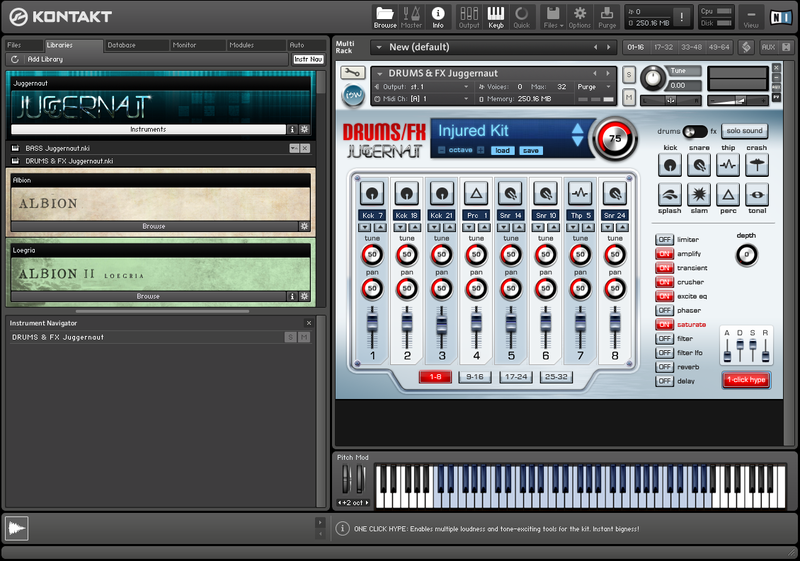 The decision to make core sounds available as WAVs is welcome, although manoeuvring Juggernaut in Kontakt is what really excites. Many bass-oriented synths and hefty drum libraries have trundled through the Fell Surgery and Impact Soundworks' impactful work is an example of one that truly plasters grin on face, all the better to loosen fillings with.